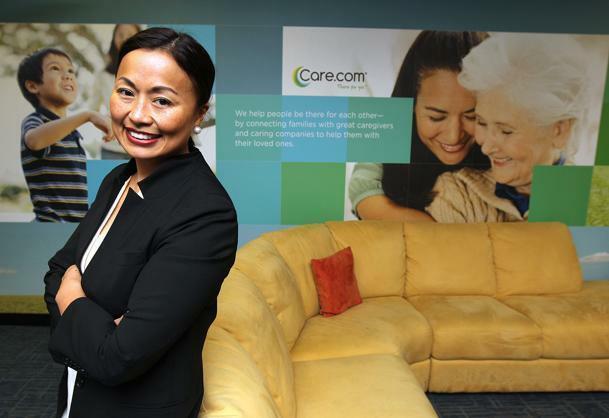 Care.com Inc. raised $91 million in an initial public stock offering and will begin its first day of trading as a public company Friday on the New York Stock Exchange. The Waltham company runs an online marketplace for nannies, home health care nurses, dog walkers, and other care providers. It priced 5.35 million shares at $17, giving it a market value of about $554 million. It is the first Massachusetts company to go public this year and the state’s first software company to go public since Exa Corp., in June 2012. IPOs are on the rise. The number last year was at the highest point since 2000. In the coming year, more than a dozen Massachusetts computer technology, Internet, and life sciences companies are poised to follow Care.com with initial offerings. Chief executive Sheila Lirio Marcelo will ring the opening bell of the stock exchange Friday morning. A Harvard Business School graduate, she founded the company in 2006. It has grown into a top destination for people to hire caregivers. It has about 200 employees at its headquarters in Waltham and 400 worldwide. Care.com has raised $111 million in venture capital funding.